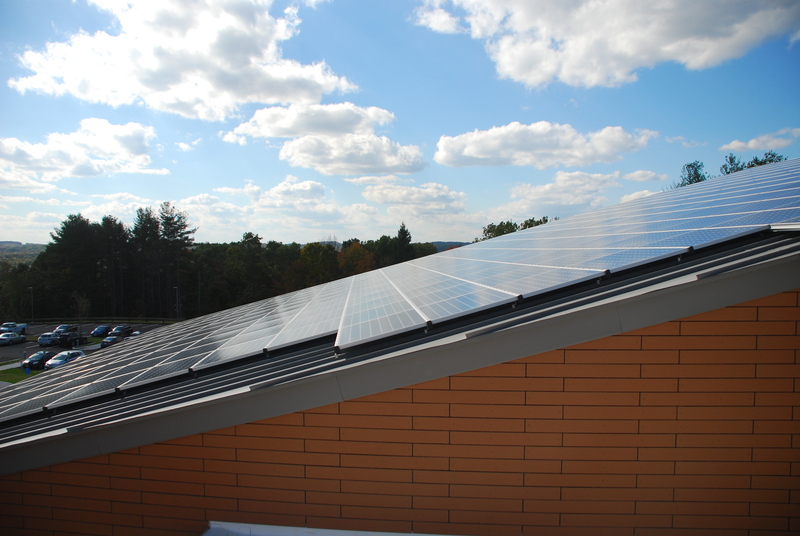 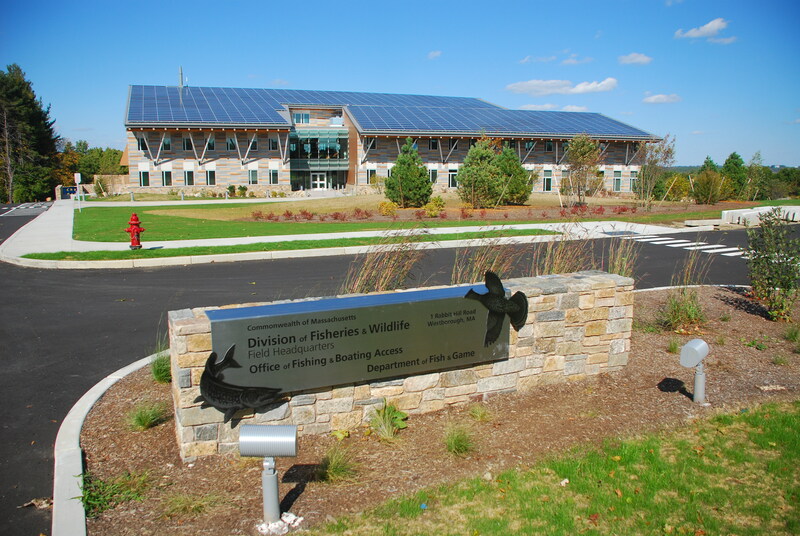 The Massachusetts Fish and Wildlife Agency’s new field headquarters is the first Net-Zero-Energy building commissioned by the Commonwealth. 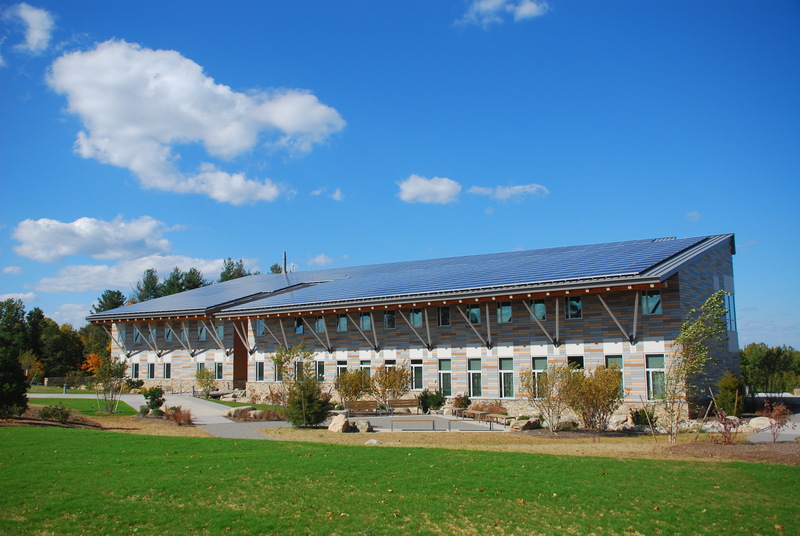 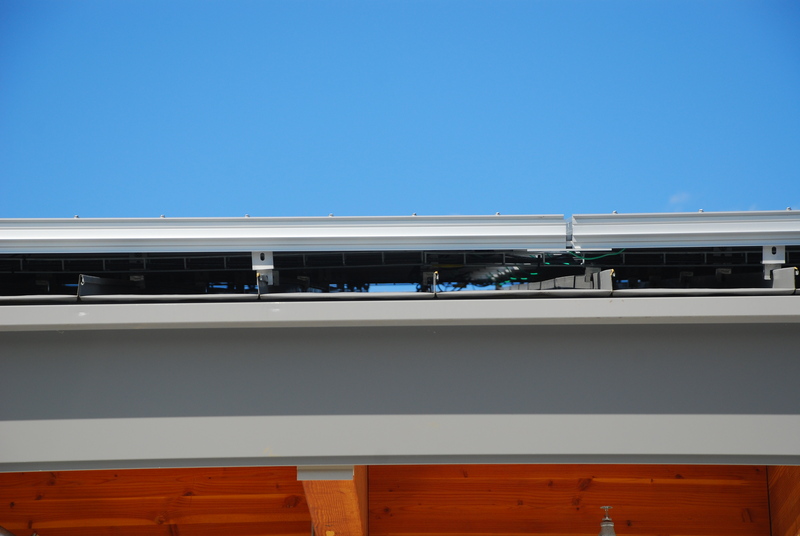 Architerra was retained to design the facility to achieve Net-Zero as well as LEED Platinum. 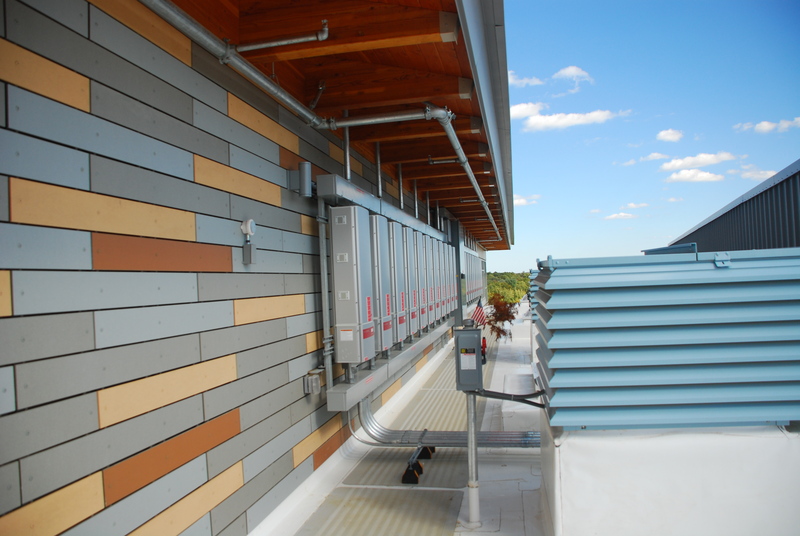 Architerra retained SDA to help them balance the energy equation. 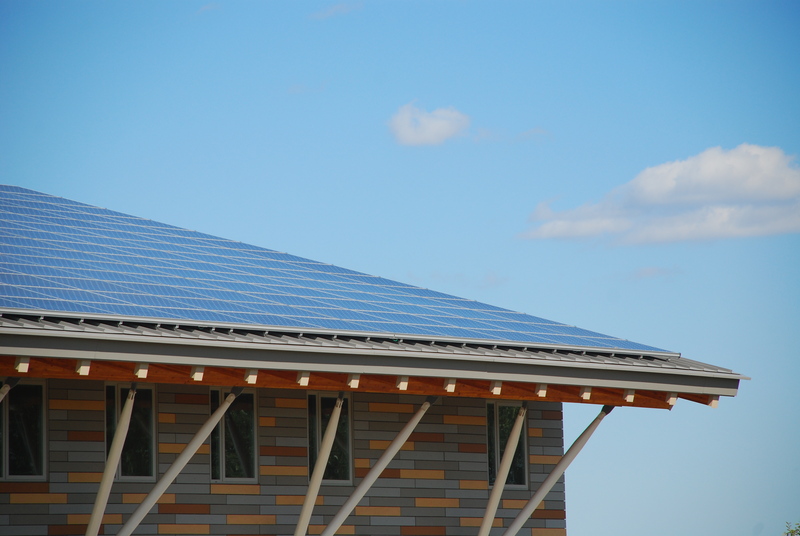 SDA collaborated closely with the design architects to design a solar array that maximizes solar harvest to meet all of the energy needs of the agency on an annual basis. 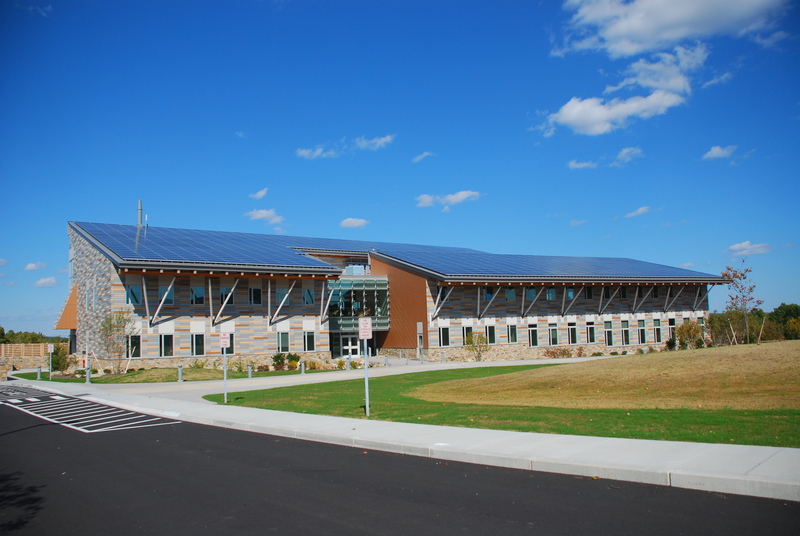 In the first year of operation, the building generated 98.5% of its total energy use, including heating, cooling, and electricity, yet the Commonwealth’s first LEED Platinum-certified public office building designed for zero-net-energy performance cost no more than a conventional office building. 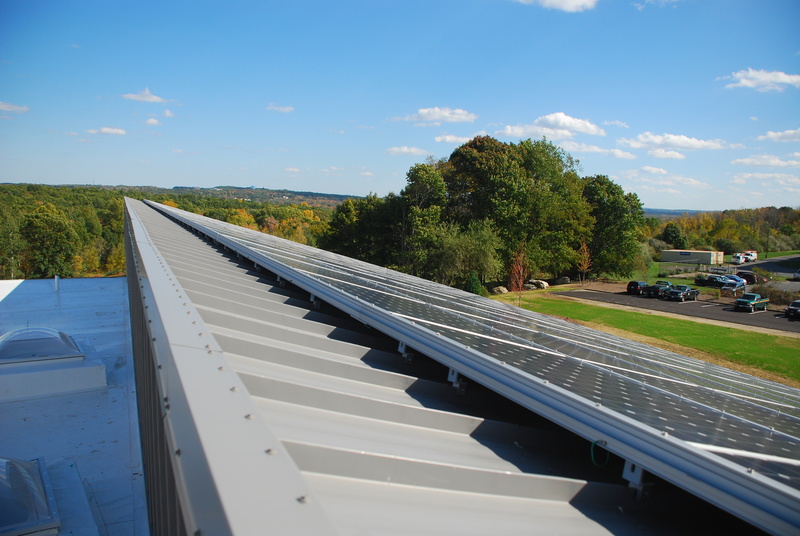 SDA served as Engineer-of-Record for the solar system providing full design and engineering, complete construction documents, procurement assistance, liaison with code and utility officials, construction oversight, and full system commissioning. 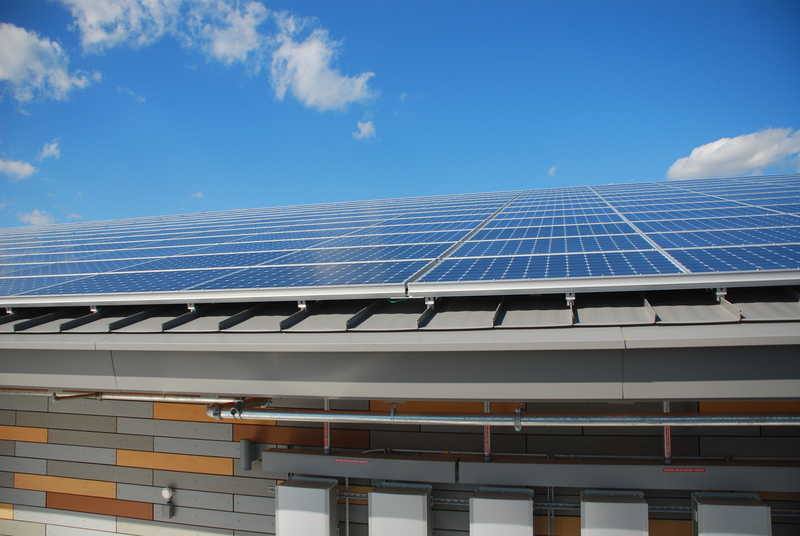 SDA also defined a data acquisition system that provides instantaneous solar power production as well as archived historical solar harvest, temperature and the amount of solar energy falling on the the solar array. 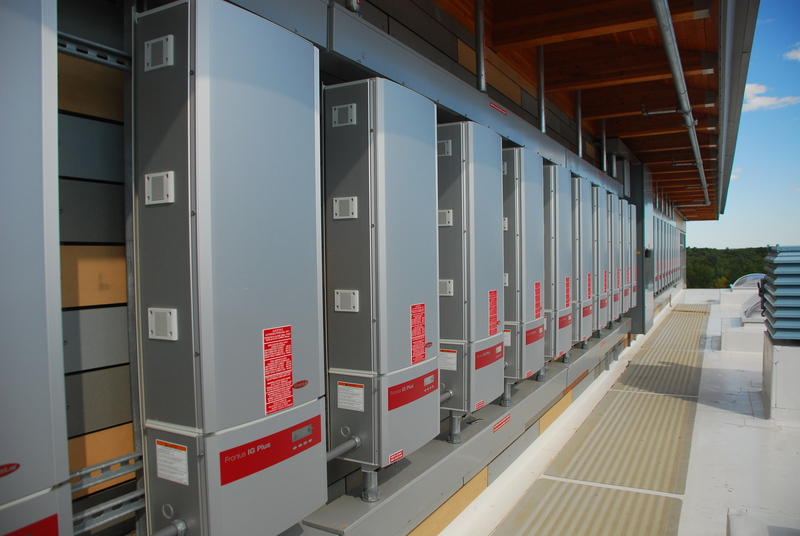 This serves to provide an accurate record of how well the system is operating and can be valuable in diagnosing any performance issues that may arise.